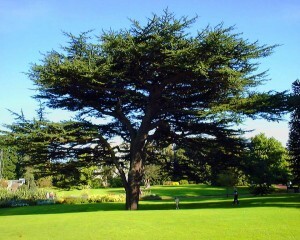 Mother Trees are a species of cedar. I took the first photograph of a beautiful example, one summer during which I spent much time lying under it looking up through its branches at the sky. 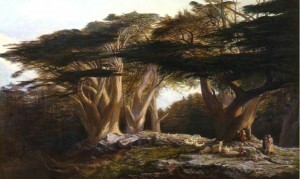 Tragically, it was damaged in a storm and had to be cut down. The specimen shown is a small one. 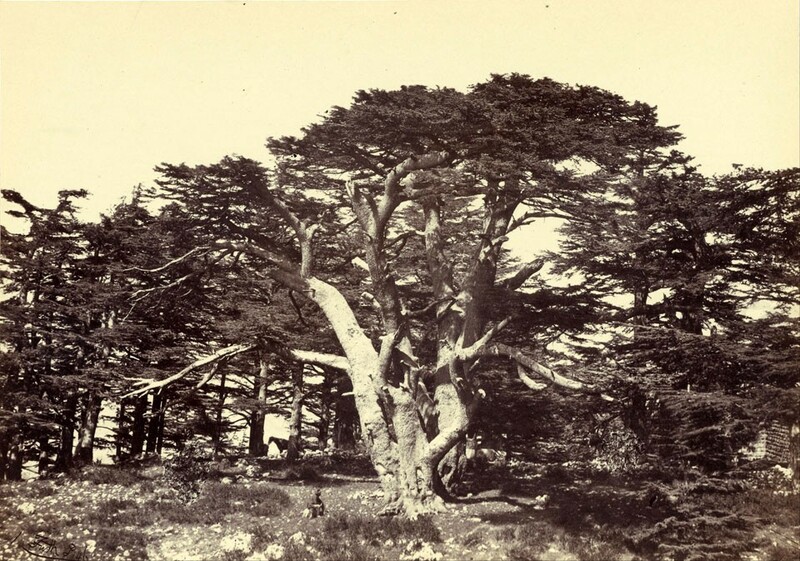 On the slopes of Lebanon, famed since ancient time for these trees, some exist that are hundreds of years old that reach a height of 18m (54ft) and an expanse of 32m (100ft) whose trunks are 4m (12ft) in diameter. Below are other examples. Among the Plainsmen, each mother tree forms the centre of a hearth. A hearth matriarch has authority over all the earth which the roots of her mother tree cover. A matriarch may give permission for anyone she wants to touch ‘her root-earth’. 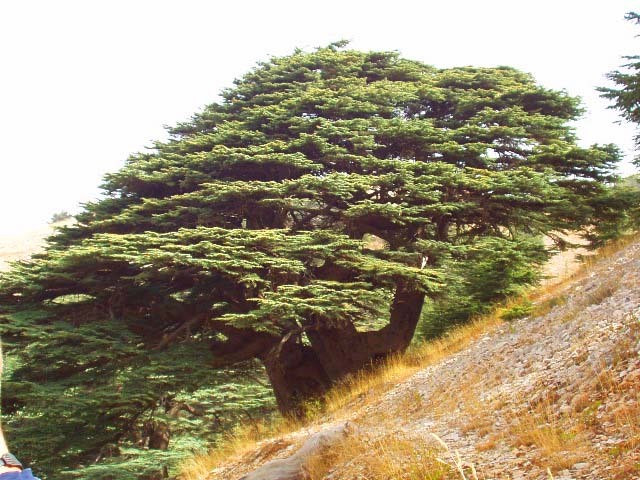 They believe that each tree is possessed of all the ‘souls’ of the women who have been buried among its roots. 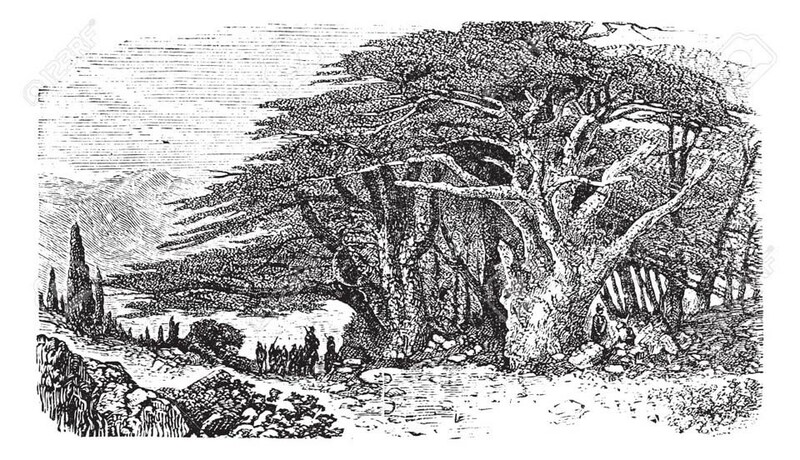 In the hollows lying between the roots of a mother tree, the people of its hearth sleep alone, or in couples – generally on the uphill side so they can lie with their feet pointing towards the trunk and where her branches will tend to come close enough to the ground to provide screening from other hearths. 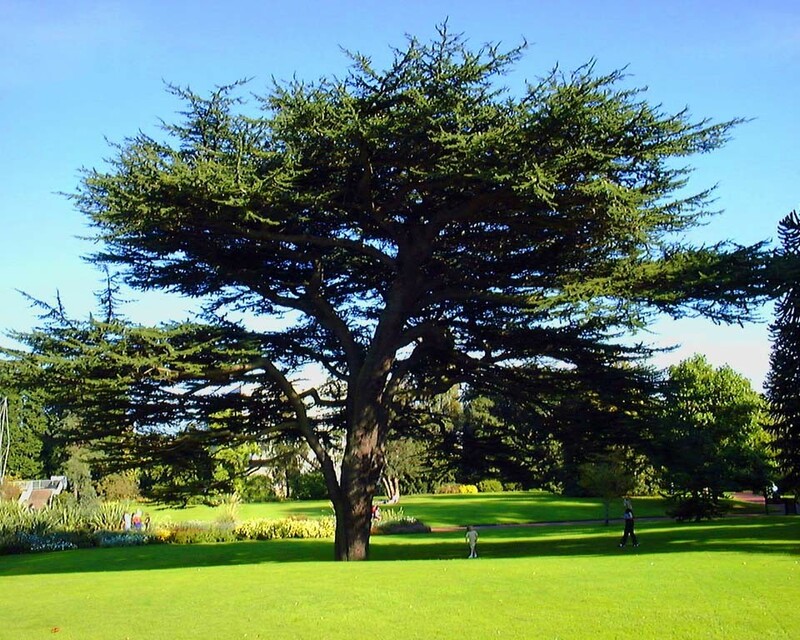 Root hollows will often be filled with cedar needles and a fresh bedding of ferns will be laid over the top every so often to form a kind of mattress. Somewhere on the downhill side, a root hollow will have a fire set in it and it is around this, seated on the framing roots, that the people of a hearth will gather to eat together.